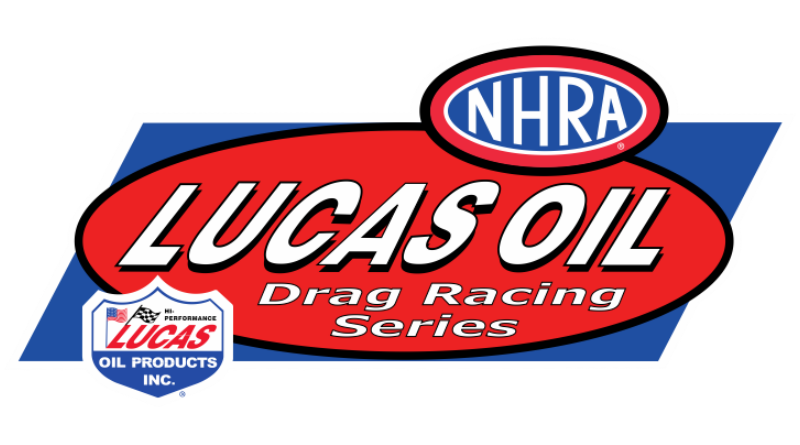 WEST VALLEY CITY, Utah – The second half of the Division 7 Lucas Oil Drag Racing Series double-header race weekend concluded on Sunday with several racers making big moves in the national championship chase. With national championship hopes on the line, the double-header weekend provided two chances to gain valuable points. Final results are listed below. Ryan McClanahan captured the Super Stock title for the second year in a row at Rocky Mountain Raceways when he defeated Scott Burton in the final. After both drivers left with .01 reactions, McClanahan pulled ahead at the finish posting a .014 over 8.904 to defeat Burton’s .032 over 9.982. This was a great finish for Burton who had recently damaged his Stock Eliminator entry in an on track accident. Great recovery Scott. Although he went out early, defending national champion Justin Lamb’s second round finish should be enough to move him into the top spot in the national championship chase. Justin Lamb defeated a slowing Craig Maddox to pick up the Stock Eliminator win. Maddox was making his second final round of the weekend as he was the Super Gas runner-up in Race 1 on Friday. Lamb’s win should move him into third place in the national rankings giving him a chance to repeat as world champion. Another racer that improved his national title hopes was Brian McClanahan who made it to the semifinals for the second consecutive race. Although he broke off the line in the semi’s, McClanahan should leave Rocky Mountain Raceways smiling as his back-to-back semifinal appearances should move him into first place in the championship battle. Aaron Kinard captured the Super Comp Wally after defeating Mitch Mustard in the final. After both drivers registered .01 reaction times, Mustard ran -.025 under the index when Kinard dumped him at the stripe. Rick Cates claimed the Super Gas win after final round opponent, Cameron Eddins missed the tree and the index giving Cates an easy win. Notables included Craig Maddox who made it to the semifinals following up his runner-up finish in Race 1. Maddox was also the Stock Eliminator runner-up on Sunday. Aaron Kinard’s fourth round finish should add 20 additional points to his lead in the national standings. Kacee Bootsma-Morris captured her first Top Dragster title when final round opponent John Richardson slowed down track. Doug Crumlich captured his fourth LODRS title when first time final round opponent Todd Young missed the tree. Crumlich posted a .038 over 7.287 to take the easy win over the -.013 break out pass of Young. “High Gear” Ryan Herem took home the Super Street Wally winning a double-breakout final against Gordon Boven. Herem used a .010 starting line advantage to take the win down track when his -.046 was closer to the index than Boven’s -.062.